Veterans returning from combat may suffer a host of physical, emotional, and psychological ailments that may be relieved with the use of medical marijuana. A new bill introduced by Congress could help veterans who live in states where medical marijuana is already legal, but where VA doctors have previously held silent on the issue due to federal drug laws. The Veterans Equal Access Act was introduced in mid-November by representatives from Oregon and California with 10 bipartisan cosponsors. Essentially, the law would lift the current ban on VA doctors issuing opinions or recommendations about the use of medical marijuana by veterans. According to research, veterans who suffer from traumatic brain injury (TBI) or post-traumatic stress disorder (PTSD) are among the patients who could benefit from medical marijuana. Veterans advocates assert that the psychological and brain traumas associated with combat can be even more damaging that physical ailments. They can impact the veteran’s ability to manage day-to-day tasks, seek gainful employment, or even assimilate back into home life with their families. The new bill would give wounded veterans access to medical marijuana to help them cope and thrive in a post-combat environment. Veterans in California and nationwide have benefited from medical marijuana use, both in controlled and other environments. According to a report published by the Department of Veterans Affairs, nearly 30 percent of veterans who served in Iraq and Afghanistan suffer from PTSD and depression. Marijuana has been known to alleviate the symptoms of PTSD, including anxiety, flashbacks or “shell shock,” as well as depression. 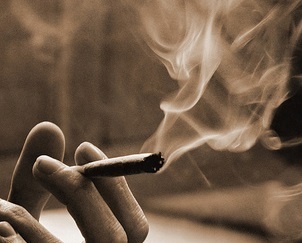 New studies have shown that patients who smoked marijuana had a 75% reduction in their PTSD symptoms. Many veterans’ advocates, public health advocates, and medical researchers have urged additional trials to determine which PTSD patients may benefit from cannabis. Getting federal approval for medical testing, especially involving veterans, has been a challenge. This year, federal health officials did grant permission for a study that would test the effectiveness of five potencies of smoked or vaporized cannabis on 50 veterans who have been diagnosed with PTSD. The future of the study is uncertain because the provider of the cannabis failed to provide the proper strains and the lead scientist was fired by the University of Arizona where the research was supposed to take place. California is one of 23 states that allow the use of medical marijuana. If passed, the new bill will allow VA doctors to write recommendations for medical marijuana to treat PTSD symptoms. Even if the bill is passed, marijuana is still considered illegal under federal law. Individuals who are charged with marijuana crimes could face serious penalties. Our Orange County medical marijuana attorneys are dedicated to protecting the rights of our clients facing marijuana related charges. We also represent dispensaries and other marijuana business owners seeking to ensure regulatory compliance. If you have been charged with a marijuana crime, it is important to consult with an experienced advocate. California state and federal penalties are severe and could include jail time, fines, and a criminal record.